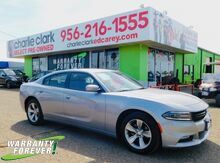 Calling all enthusiasts for this sleek and seductive 2018 Dodge Charger SXT Plus. Savor buttery smooth shifting from the Automatic transmission paired with this high output Regular Unleaded V-6 3.6 L/220 engine. Boasting an amazing amount of torque, this vehicle deserves a passionate owner! It's outfitted with the following options: WHEELS: 18" X 7.5" CAST ALUMINUM (STD), TRANSMISSION: 8-SPEED AUTOMATIC (845RE) (STD), TIRES: P235/55R18 AS PERFORMANCE (STD), QUICK ORDER PACKAGE 29H -inc: Engine: 3.6L V6 24V VVT, Transmission: 8-Speed Automatic (845RE), MANUFACTURER'S STATEMENT OF ORIGIN, ENGINE: 3.6L V6 24V VVT (STD), BLACK, CLOTH SPORT SEAT, BILLET CLEARCOAT, Window Grid Antenna, and Wheels w/Silver Accents. 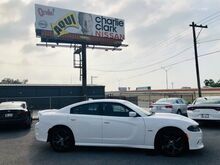 Find excuses for road trips in this fabulous and whimsical Dodge Charger. 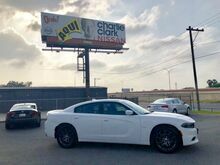 A short visit to Charlie Clark Nissan located at 3500 W Expressway 83, Harlingen, TX 78550 can get you a hassle free deal on this tried-and-true Dodge Charger today!